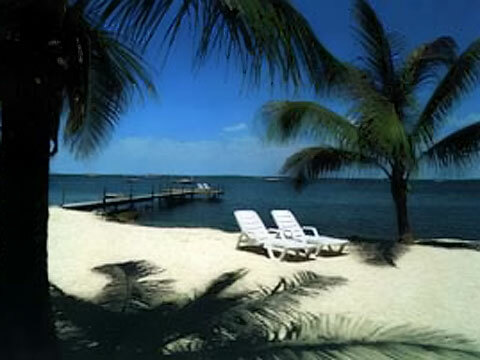 Bay Cove Motel is located in the heart of Key Largo and on the Beautiful Florida Bay, where the sunsets are spectacular. Enjoy the best of the Sun and the Shade, we have them both. We have cottages that will accommodate from two people and four people in our single and double cottages, efficiencies with kitchen areas and the house that accommodates 8 people which overlooks the Bay. The house is great for Family Get-Togethers. For celebrating your Anniversay or for the Honeymooners, we haveour romantic Studio. On the second level and overlooks the bay, it has beautiful hardwood floors and wood beamed ceilings. A must see to believe! We have eleven cottages in all, just waiting for you to spend your vacation in or even the few days of a get away. We are within walking distance to many fine restaurants, shops and great nightlife fun. Now, for the Sun People, we have a private sandy beach with chairs and loungers. For the boaters and the fisherman, we have a dock with "T" section & 3 pilings with free dockage & also a boat ramp on our property. Sorry, No Pets allowed. We have much to offer in this small piece of heaven at Bay Cove Motel. Come and see for yourself! SEA YOU IN THE SUN!! !